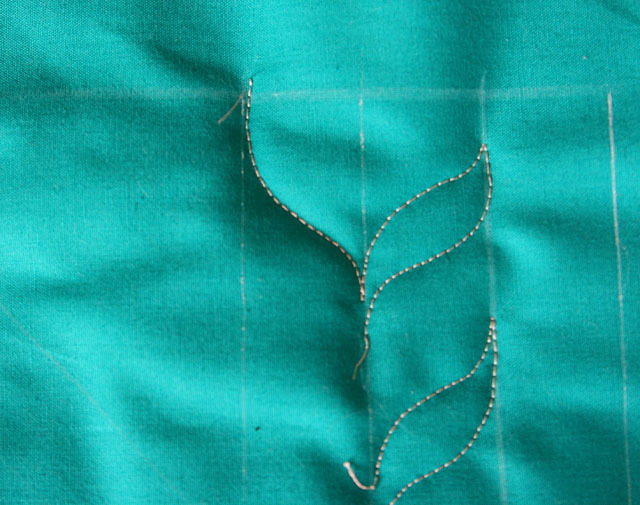 In today’s tutorial, we are stitching the Open Leaf. (It is open on the bottom-which will be important in some of the variations.) It is my favorite stitch motif as it is very versatile for borders and for fillers. There are endless variations. 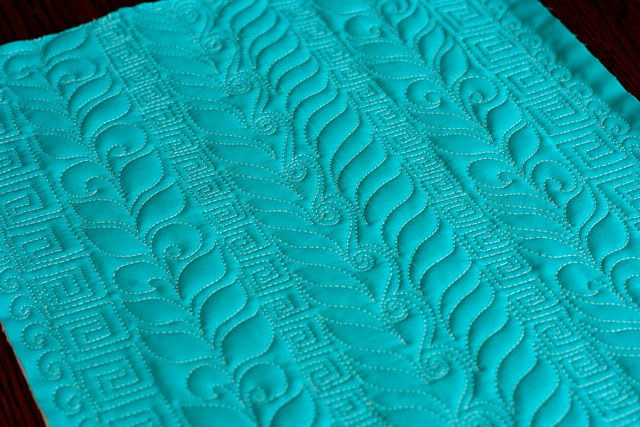 This motif can be used as a replacement for feathers, and it is a stepping stone for learning feathers. In our last tutorial, we learned the Greek Key. The Open Leaf looks great paired with any geometric pattern. So without further ado, let’s begin the Open Leaf. Start with three parallel lines-any width that suits your fancy or your quilt…I usually stitch this pattern from the bottom –up. 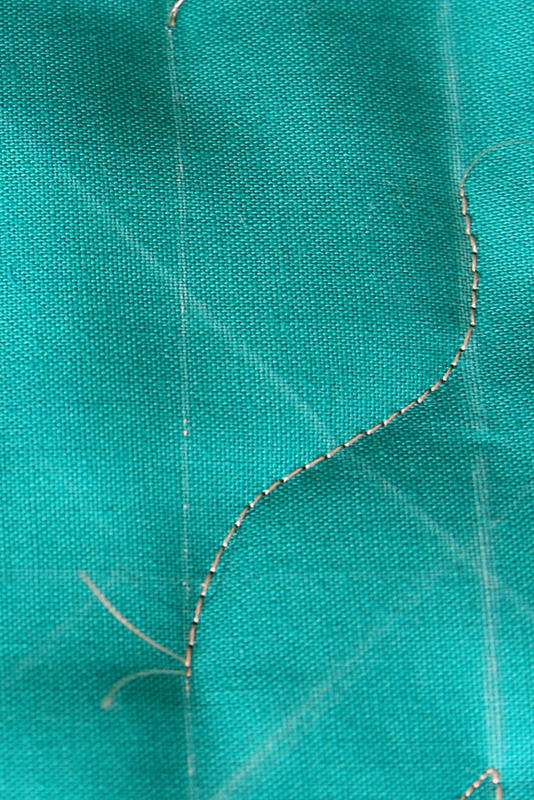 Stitch down and back toward your first stitches, but leave a small opening. 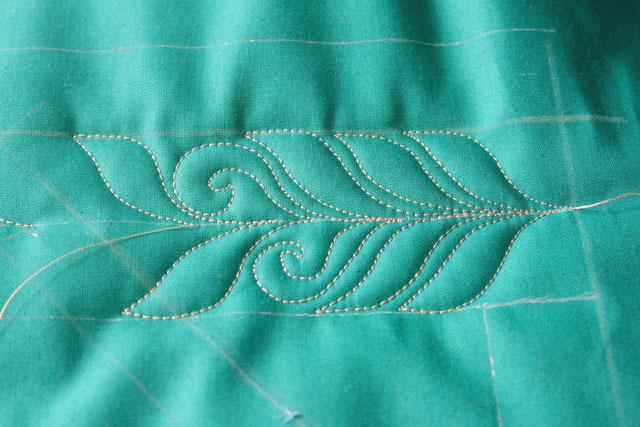 This prevents the center of the motif from getting too “thready” with a build up of stitches. 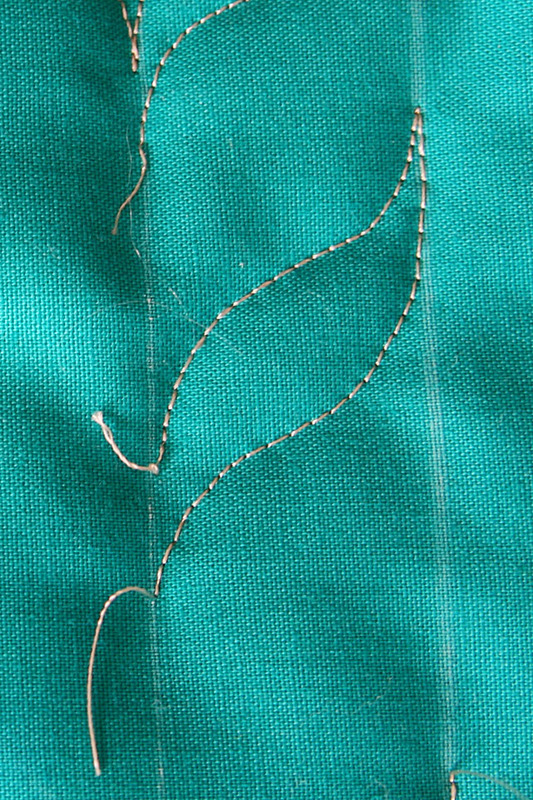 Next, stitch up and to the left rail, again stitching along the left rail for several stitches–before returning to the center again. Repeat, swinging from right to left. You will quickly find a rhythm–and you won’t want to stop! 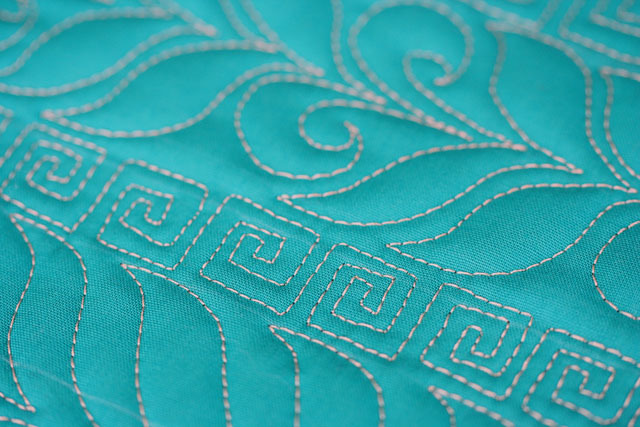 There are many variations we will be stitching with this basic pattern…It is a work-horse of a stitch! Must show this to my grandmother. She’ll love it. It looks really pretty. I hope she likes it! Thanks for sharing!